Home Reviews Tablets Review: EAFT D90T Destiny 9.7 inch Tablet. 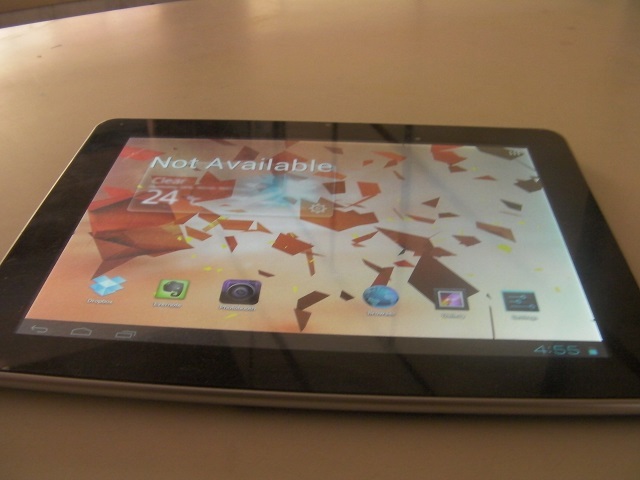 EAFT Technologies is a Bangalore based Indian company, which manufactures Android tablets with 3 different variants available. The one we are reviewing – the Destiny D90T – is its top of the line 9.7″ version. EAFT also makes sure that this package comes at a pocket friendly price of around 14 to 15 thousand INR in various parts of the Indian market. So let’s find out how it fairs. On opening the box the first thing you will see is the tablet, of course. Beneath which one finds the standard set of accessories: a charger, a USB cable, a USB OTG connector, a pair of earphones, and a warranty card. As soon as you hold the tablet in your hand you realize it’s heavy. It weighs 960g and is best suited when held by both the hands to avoid fatigue or strain. The build is fairly decent for a tablet of this price. 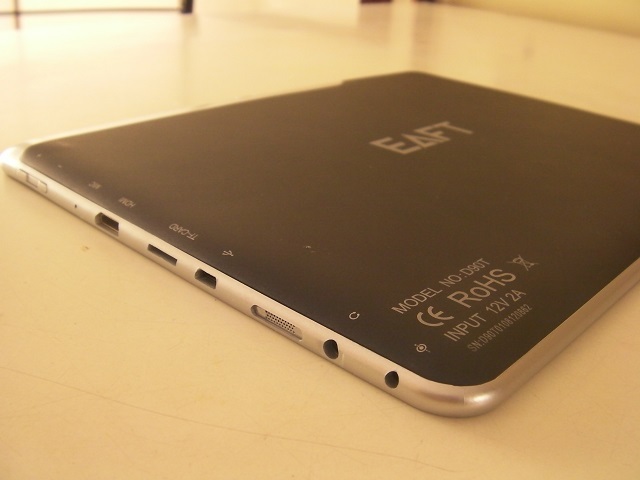 It offers a scratch resistant back panel, which is made out of plastic with the EAFT logo prominently situated in the center. The left and the bottom side of the tablet are all neat with no buttons being placed there. The right side has the majority of the buttons including the volume rockers, microUSB port, HDMI output, charging port, a speaker grill, a headphone jack, as well as a microphone. There’s just a power button on the top right corner. The 2 megapixel rear camera with flash is decent and manages to do the work. EAFT already installs a primary screen protector which is very scratch friendly, but not to worry as the screen is safe beneath. The Destiny D90T comes with a 9.7 inch LCD panel with a resolution of 1024*768 which is HD. This is good enough for watching movies, playing games and web browsing but small text might miss some details if u happen to read a lot of ebooks. 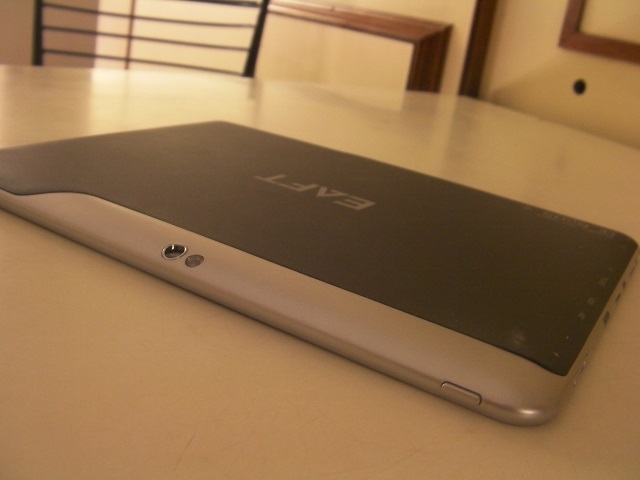 Under the hood the tablet is powered by an ARM Cortex A9 dual core CPU which clocked at 1.6 GHz along with 1 GB of RAM. It also brings in a Mali 400 GPU to satisfy one’s gaming needs. So the hardware is pretty powerful on the spec sheet, and according to our tests, it surely is a performer. The tablet has WiFi and Bluetooth connectivity and microUSB for charging and data syncing. The USB OTG comes handy while travelling as one can easily connect a pendrive or a portable Hard disk to extend the storage or view movies or images. The battery is also a massive 8000mAh which is very good. Even after a heavy day of usage, you will find yourself having enough juice for the second day. On the software side EAFT likes to keep it neat and simple. Unlike many other manufacturers EAFT gives its customers a very stock-ish vanilla Android experience. Android 4.0 works pretty well and does not show any sluggish behavior as such. We like EAFTs idea of software on this tablet as it came in with only the most essential apps and no useless bloatware. Also the Google Play Store is accessible and none of the apps are blocked. Evernote and Photobooth come pre-installed as productivity apps. Providing a neat, clean, and snappy experience with a 9.7inch form factor is big plus of this tablet. The overall display quality is not bad as it delivers wide viewing angles and good amount of brightness. In our tests it performed well while web browsing, video streaming, and gaming as well. 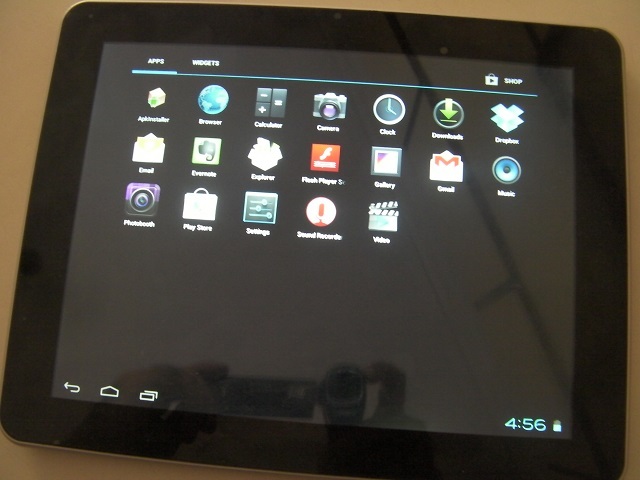 Android 4.0 Ice Cream Sandwich adapted well to this tablet for a great overall experience. This tablet delighted us. Although the build quality is not top of the line, we think it’s too much to expect from a tablet at this price bracket. 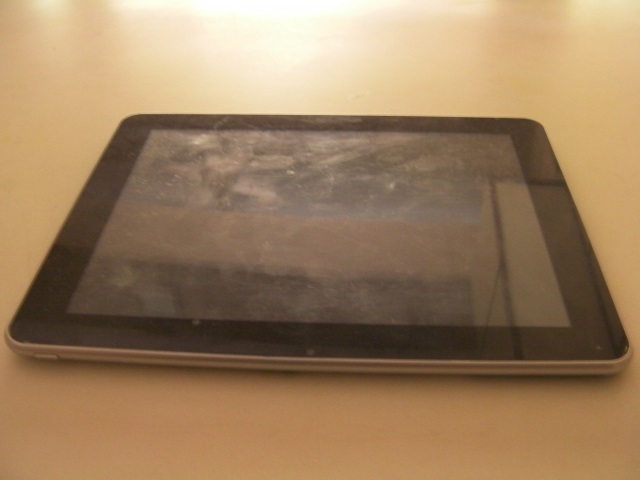 We advise you to purchase a cover in case gravity takes over, so that you do not break the tablet. Otherwise, in every other way, the tablet gives what it promises. Next articleNews: Samsung announces REX line of feature phones starting at 4280INR.